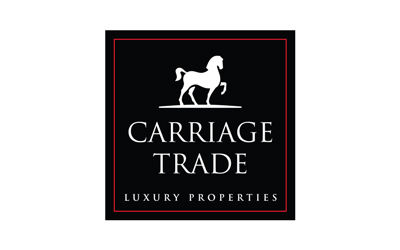 Only Royal LePage’s finest properties qualify for the Carriage Trade luxury property marketing program. Criteria are designed to preserve the distinguished nature of the luxury property market and reinforce the exclusivity of the Carriage Trade brand for you and your clients. no less than four times the average residential sale price as determined by your local real estate board in the following four major markets: Metro Vancouver, Calgary, Greater Toronto and Greater Montreal. A separate category has been created to facilitate price-qualification based on the local condo/townhome average price, versus the average price across all other property types. Automation technology or other features that provide unique ownership advantages such as a library, horse stables, an elaborate home gym, home theatre, wine cellar, an observatory, etc. Is your listing an exception? Properties that do not meet the criteria above, but are believed to be an exception, may still qualify. Email property details to carriagetrade@royallepage.ca. You will receive a response within 48 hours. Contact Customer Care at 1.877.757.4545 or help@royallepage.ca.